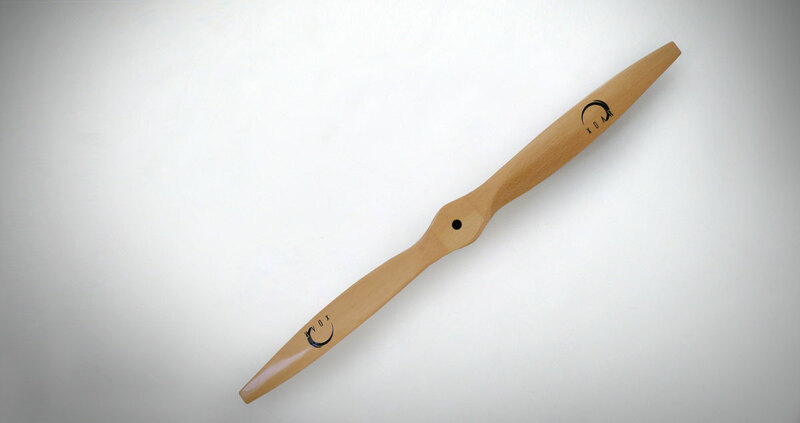 Xoar PJH F3A propeller has a unique blade design to optimize for F3A competition. For F3A competition, the Aircraft requires constant speed during climbing and cruising with low noise level. The size of the aircraft is required at 2m x 2m, weighed at 5kg, noise level is control at 92db per meter. Tailored to this rigid requirement, PJH series maintains the highest power efficiency and specially engineered tip keeps lowest noise level. Xoar PJH props are only made from best of the best German Pollmeier lumber, hand picked the top batch to ensure excellent physical property in elongation, breakpoint and distortion rate ensure by its heating process to satisfy F3A requirements. After approving the design in digital imaging, it will be transferred into CNC manufacturing program. After CNC, the semi finished prop comes into shape. The each prop is manually finished to reach perfect surface smoothness and balance which makes Xoar Prop stand out from its competition. Xoar PJH F3A also available in Laminated and Hi-Laminated material to satisfy varies flying requirements. Due to the characteristic of laminated wood, it offers higher resistance to flex and heat and efficiency in high RPM and more thrust. PJH laminiated props are made of plywood which each ply is no thicker than 1 mm and with the best combination of wood and glue. You can fly comfortably and confidently with Xoar in any competition.